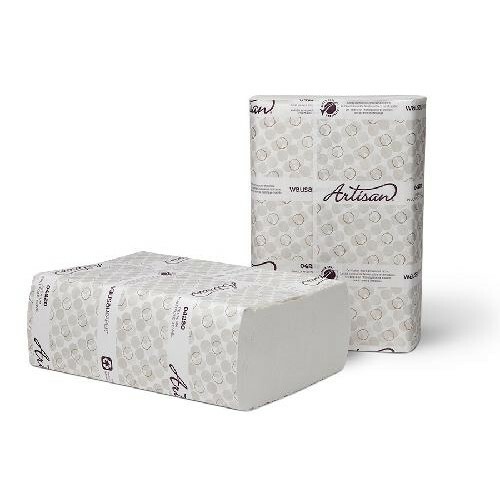 New Artisan multifold towels are plush and absorb wetness quickly. Carefully crafted from innovative technology, these towels are brilliant white, remarkably strong and durable. Artisan multifold towels are made from superior quality recycled fibers providing premium appearance and comfort while also supporting sustainability initiatives. Cloth-like durability and performance, highly absorbent thus minimizing towels needed for hand dry.